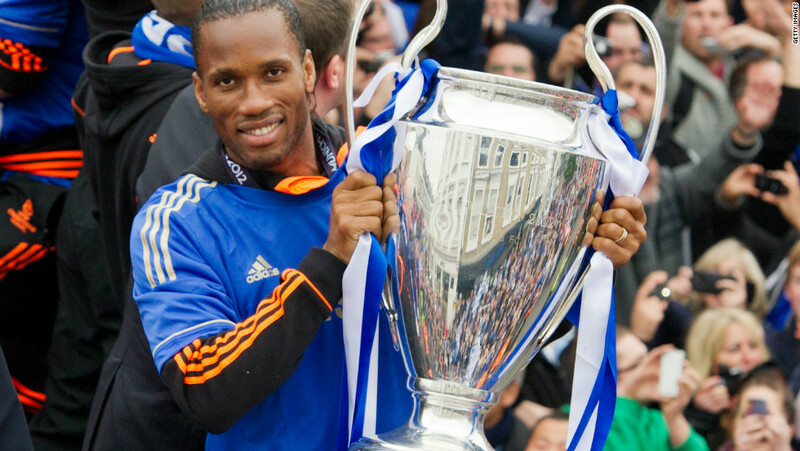 Didier Drogba announces his retirement - The Legend who has set the benchmark for all to follow. Didier Drogba has called time today on his playing career and I just wanted to try and express what the man from the Ivory Coast - who wanted to leave us after a single season - went on to achieve here and the legacy that remains. There are simply no words that could ever do the man justice in my opinion but I will try. As hard as it maybe, what Didier Drogba did for our football club deserves recognition even after he left the club for the final time two summers ago. Didier Drogba was signed by Chelsea for £24m in the summer of 2004 and sitting here right now, none of us could or would have ever imagined what was about to happen at our club. Roman Abramovich had arrived a year before and had invested heavily in the playing staff with all-sorts of big names coming in for inflated transfer fees. Chelsea were now the team that everyone was watching, a team that heavily divided opinion up and down the country and one that the media had their sights on week in, week out with bets up and down the country being made as whether Chelsea would succeed or fail. Plenty believed that you would be better off using a bet365 bonus code to bet against us being a success because as we have heard so many times - "You cannot buy the Premier League!". A successful season and position in the Premier League, sealing Champions League qualification again wasn't enough for Roman Abramovich and he relied the Claudio Ranieri of his duties to appoint "The Special One" who had just won the Champions League trophy with Porto. It was the relationship between Jose Mourinho and Didier Drogba, the relationship, trust and respect their had formed that played a huge part in Didier Drogba's story that lasted almost a decade. Drogba arrived with a growing reputation but there were plenty of those who rather see what he could do in a Chelsea shirt first, before they decided if he was worth the money. In the early days you could see he was a big, powerful, strong, athletic and imposing striker but in those early weeks, he received criticism from the stands for his antics - falling to the ground far too easily and not playing to the strengths that he had. This lasted for a while but being the man he is, Drogba took it on his chin, learned to deal with the physical side of the Premier League and focused his efforts on leading the line for Mourinho. In fact, if you remember, Drogba was injured for a period of time in that first season and it was a chance for Eidur Gudjohnsen to impress - a player that to this day I still believe to be one of the most underrated of all time. Linking up in a front three with Arjen Robben and Damien Duff, Chelsea found their formation and identity and the rest is history in that first season. For Didier Drogba? His first ever Premier League goal for Chelsea away at Crystal Palace (if you watch it again) demonstrates the ability and quality he had in the air. Leaping and rising well above the defender, he headed the ball back across goal into the bottom corner - Drogba had arrived. “It was a difficult year, coming to Chelsea, and I was like ‘I’m not happy here, maybe it’s not for me and maybe I need to go’. But he was saying ‘No, you have to stay, I will help you, you must stay’. “Suddenly I thought ‘wow’. I knew I needed to improve and that’s what really challenged me, and it’s why I became the player that I was.” - Source: The Telegraph. As he says, he accepted the challenge from Jose and decided to fight to be king in London. My god did he deliver in the next seven/eight seasons. Think of the games that a moment of inspiration from him up top became the difference. Think of all the finals Chelsea played and how many times he stepped up and delivered, think of the big games, the big nights in Europe and the times when it mattered - Didier Drogba stepped up and became the King that Jose Mourinho had referred to. For someone who although tall and athletic, does not appear to be the big, strong and bulky centre-forward that we had all witnessed playing through the years that became icons of our game. However, Drogba was able to impose himself in games, he could hold the ball up, win the ball in the air, take players on, play off the shoulder or literally bully defenders into submission - he had it all and could adapt to every single style of play we had here over the years with different managers. On his day he was simply unplayable and someone that Premier League defenders would dread coming up against. Jamie Carragher has always spoken of the nightmare that Drogba was for example. 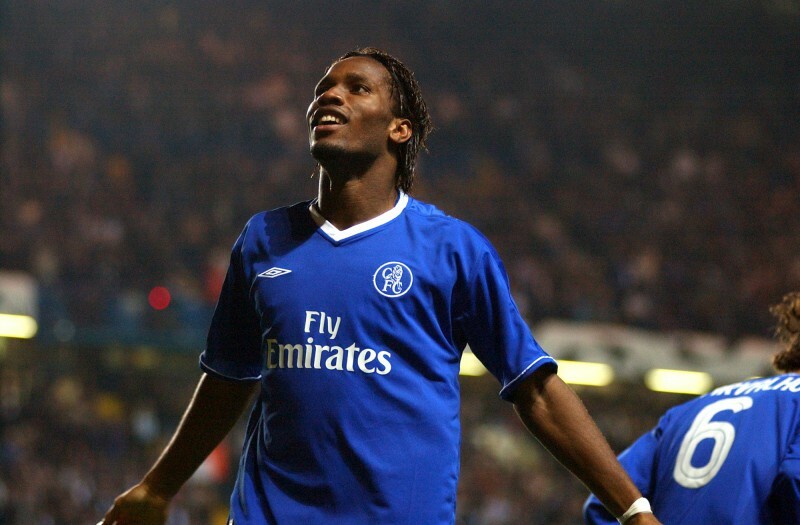 In the time Drogba was here at Chelsea the game began to evolve both on and off the pitch. On it as I said, different formations, different philosophies and different managers would decide if was to play as part of three up top, on his own leading the line or as part of a partnership up front. Off it and these days especially, it's about players being man-managed individually by the manager AND those influential players in the dressing room. Drogba was here at a time when we had big players with big characters and managed to drive that dressing room once he was established here - to set the benchmark, to be the example and to challenge the new arrivals to be the man just as happened to him. Plenty of those who have played with Drogba all say the same thing, a big player, a big character and an inspirational leader who demanded everything from his team-mates. He was someone that they knew if they gave everything they could Drogba would do the same - more often than not it led to success that none of us would have ever imagined in the most successful period of our history so far. The Premier League titles and Cup successes under Jose Mourinho, Carlo Ancelotti, Guus Hiddink and Jose Mourinho upon his return to the club. In addition to final Champions League glory under Roberto Di Matteo in Munich in which Didier Drogba scored the best header I think I have ever seen. to send the game into extra-time when it looked like we were dead and buried. It's a perfect example of when you needed someone to step up, someone to provide just one moment to save us and inspire us to kick-on that was Drogba's moment. 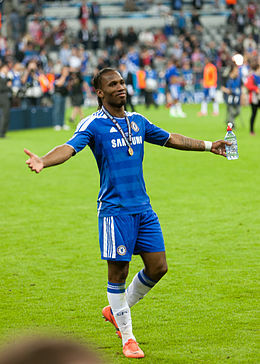 Didier Drogba literally won it all at Chelsea and gave us so many memories that will live with me until the day I die. He set the benchmark at the club for what we now expect from our strikers and Diego Costa could turn out to be the closest that we will ever see here. He demonstrated what it takes both on and off the pitch, in the dressing room and around the club. The term Legend is banded about all too often in my view and should only be afforded to players who have made an impact in more ways that one. Players who set the tone, players who proved themselves to be the best and those who have more than earned the right to be labelled as such. Didier Drogba - Chelsea Legend.